Six years after YouTube featured live-streaming for desktops in 2011, the company finally decided to bring the app to mobile. YouTubers around the world have been waiting for this feature since the company announced it in June of 2016. It is here, but with a caveat. You need more than 10,000 followers to use the feature. This is a smart move on the part of YouTube, because it can continue to test the platform with power users and work out all the kinks. By the time the rest of us get it, which will be soon according to the company blog, it should be perfect. 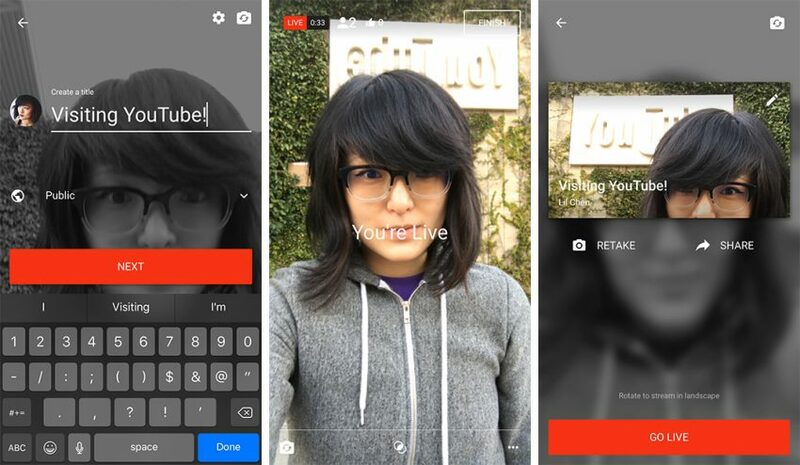 YouTube is late compared to Facebook Live and Twitter with Periscope, but the sheer number of users it has and the way it is monetized probably led the company to take its time and get it right. The streaming feature is built directly into the YouTube mobile app, having the same features as regular YouTube videos. The platform protects you from unauthorized use, and the streams can be found through recommendations, playlist or search. To start streaming, you have to first confirm your channel has been verified. Also your account must not have been restricted for live stream in the past 90 days. You then enable streaming from the Creator Studio tools, go to Live Streaming, write a title, take a picture for the thumbnail, and start streaming. Streaming starts immediately, and YouTube will automatically start and stop the stream for you at the right time. Events gives you more control with preview, start and stop features. When it finally becomes available for everyone else, small businesses can augment their YouTube channel by engaging live with their audiences. Chefs, artists, DIYers, IT experts and many small operators can give lessons, interact and provide added value services for their customers. The only downside is that have to wait for the full roundup.